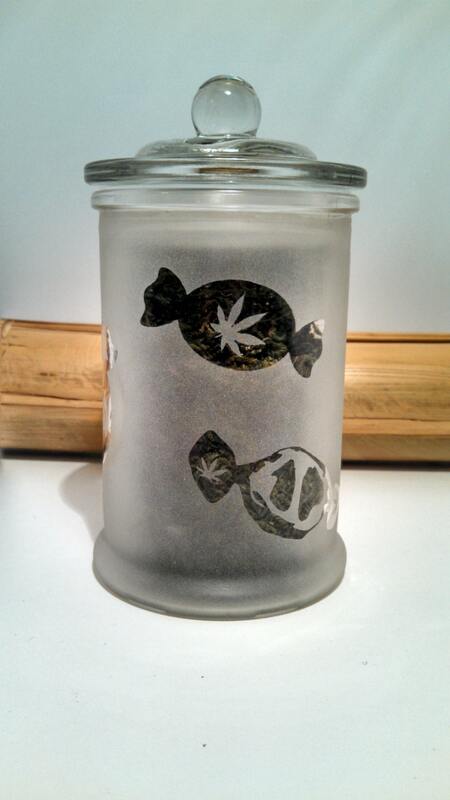 Etched glass medicated candies stash jar. 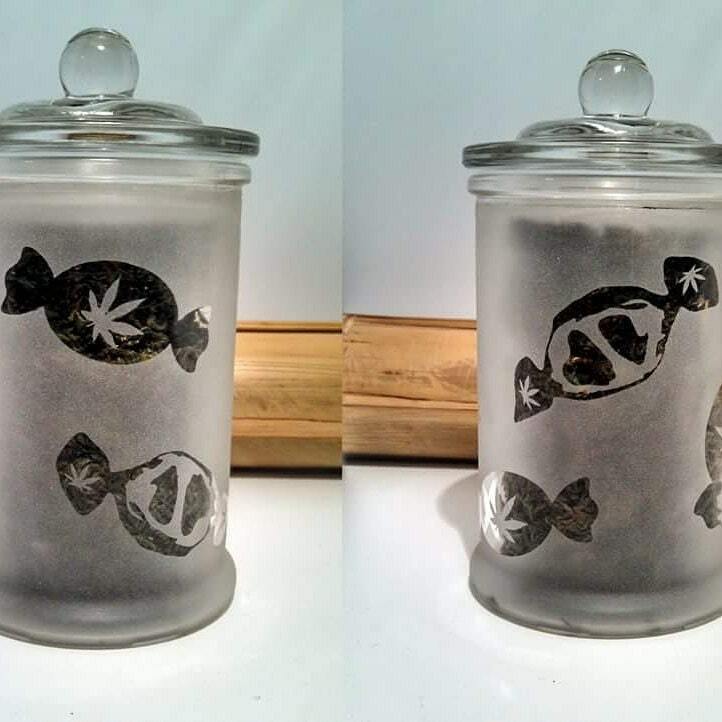 Cannabis Edibles Stash Jars & Candy Dish. 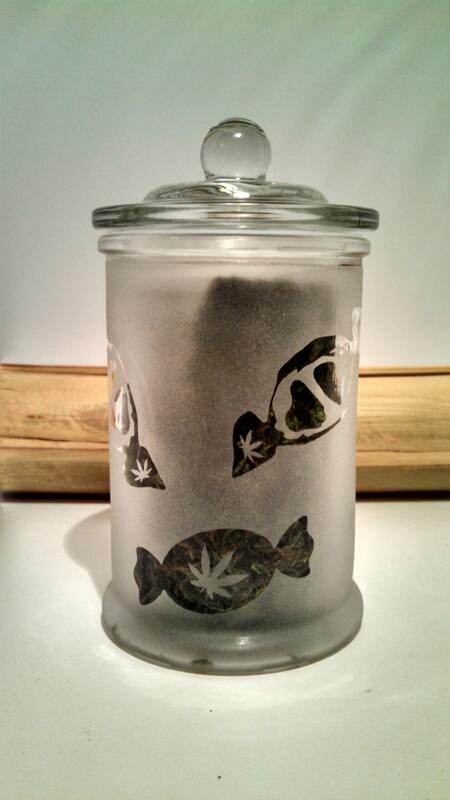 This weed candy jar is a great weed accessories and Stoner 420 Gift. 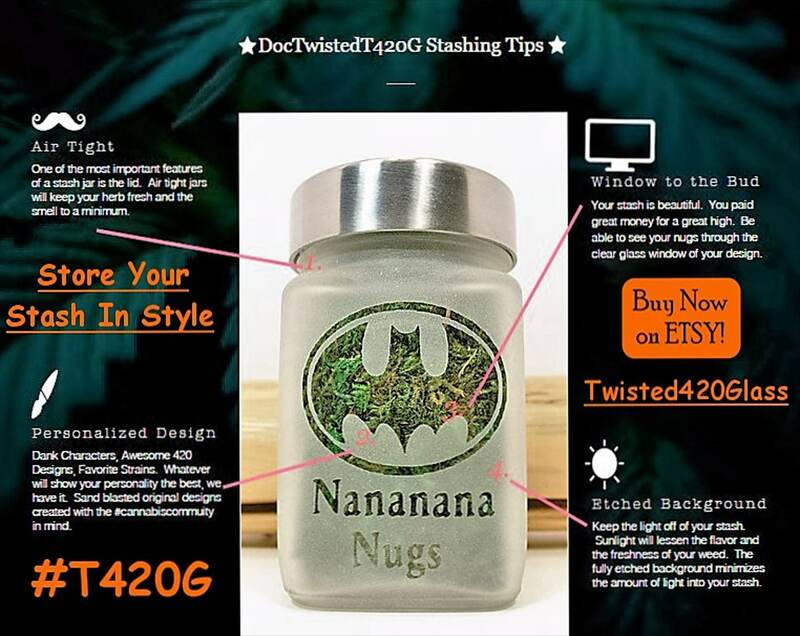 Weed jar and medicated candies jar is a food grade stash jar, medicated candy dish. Medicated Candy Dish size roughly 3"w x 6"T.
Perfect cannabis 420 gift to go with your favorite glass weed pipe, herb grinder and glass bong. Note: The Medicated Candies images in photo have a green back drop. When it arrives to you the candies will be clear glass.